Before we look at Hewlett-Packard’s Z38c Super-Wide Curved Display, let’s stop to consider a bit of history. In 1985, when I was still in school, I purchased a Macintosh 128k (with some help from my folks). It was a fun toy, but a toy it was since, with a paltry 128k of memory, a 400k single-sided floppy-disk drive and no hard drive, there wasn’t a lot it could do. It had a tiny 1-bit screen (a pixel could be only black or white), no shades of gray, and certainly no color. Although it came with a 1-bit painting program (MacPaint), suffice to say any graphics didn’t look much better than an Etch A Sketch. 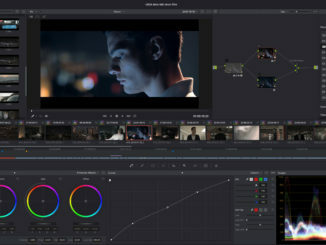 Figure 1: With a 4K wide resolution of 3840 and 1600 pixels deep, the Z38c is shown running two Adobe applications side by side: After Effects, left, and Photoshop. While there are enough pixels for both, at any time you can maximize either application to take advantage of the entire width of the display. Things got a little better when I got my first color monitor, an AppleColor “High Resolution” RGB Monitor. It didn’t come cheaply, with an original price (back in 1987) of $1,647. And at 640 x 480 pixels, it wasn’t exactly high resolution (by today’s standards, anyway). Naturally, things evolved over the years. Around 2001, I switched from using Apple computers to HP Z Series workstations, among the most elite and powerful computers in the world. While Apple played a key role in the development of nonlinear editing on the desktop, it has fallen behind when it comes to products that address the concerns of creative production and post-production professionals. Apple has done well at delivering consumer products such as cell phones, tablets and music-streaming services, but these days, those who work in high-end production — specifically visual effects artists and animators — are mostly doing their work on Windows- or Linux-based machines. (3D animation has always been PC-based.) Film and video editors, who once relied heavily on the Mac platform, also have acknowledged the additional power, expandability and enhanced video cards that can be found on the Windows platform. Eventually, the aspect ratio of screens expanded from 4:3 to 16:9 as resolutions continued to increase. Since those working in production and post needed as much screen real estate as they could get, at some point it became common for artists, animators and editors to put two displays on their desktop. In one display, for example, you could see the image of what you were working on, while the other could hold the plethora of pixels, palettes, timelines and controls that were necessary to get the job done. Or you could put one application on one display and an entirely different application on the other. For most people, a single monitor was simply not enough, and therefore two HD (1920 x 1080 pixels) monitors became standard issue. While two displays sound better than one, there were a few problems with this solution, the biggest being the physical gap between them. Yes, it was possible to take a window or a palette and stretch it across both displays, but it was practically impossible to work that way. Whether you are retouching a large image in Photoshop or animating objects in a 3D viewport, working across two separate displays is a problem. One of the applications where this is particularly egregious is editing because edit timelines are so characteristically horizontal. If you’ve ever tried to stretch one across two displays, you’ll know how frustrating it is. Because of this, an individual window or palette (or application) would typically go on one display or the other, but not both. 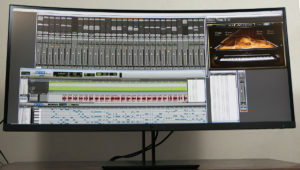 Figure 2: With the Z38c, you can stretch windows and timelines across the ultra-wide display. This is especially useful for editing timelines since they can span the display’s entire width. 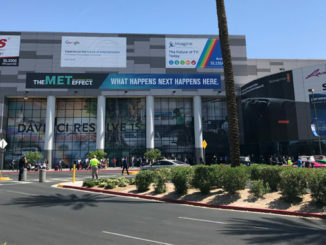 In recent years, computer displays have increased further in resolution to 4K, and in some cases beyond. However, aspect ratios remained at 16:9. Therefore, while there was indeed more resolution, the physical dimensions of Ultra High-Definition displays remained more or less on par with HD monitors. The result was that pixels got smaller, and this meant you might have to squint to see tiny user-interface elements, icons or text — or use a magnifying glass. Now, luckily, a better solution has recently emerged in the form of the ultra-wide display. Besides the powerful workstation towers and mobile workstations that can be found in HP’s Z Series, the company also has a family of displays geared toward high-end creative professionals. 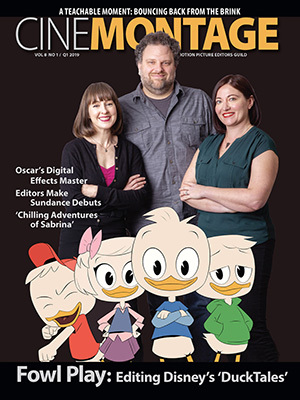 This includes the elite line of DreamColor displays, which are used throughout the industry in animation studios and visual effects houses, and by colorists. HP’s DreamColor technology even won a Scientific and Engineering Award from the Academy of Motion Picture Arts and Sciences in 2015. In the new HP Z38c Super-Wide Display, HP has introduced a new product that promises to change the game. In the short time that I’ve had it, the Z38c has changed the way I work, making the process of everything I do — 3D animation, compositing, sound mixing and picture editing — a lot more productive and fun. What makes this new display so noteworthy? A whole lot. Let’s start with the dimensions. 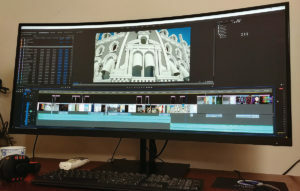 Instead of being 16:9, as most displays in the past 10 years or so have been, the Z38c is a stunningly wide 21:9 with 4K (wide) resolution that measures a whopping 3840 x 1600 pixels. That’s like having two 1920 x 1600 displays side by side. It’s even better than two full high-definition displays since they each only measure 1080 pixels deep. The best part is that there is no annoying gap between them, nothing preventing you from taking a window, or an app, and stretching it across the entire width of the Z38c. At the risk of sounding overly dramatic, once you’ve done this, you will never want to go back to a 16:9 display; the whole idea of having two displays on your desk will feel outdated and outmoded (see Figure 1). The 21:9 aspect ratio of the Z38c also happens to be the same aspect ratio as the modern cinema widescreen format and very close to the CinemaScope theatrical format of the past. 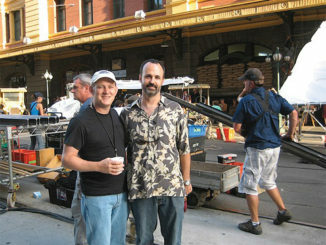 Therefore, those who work in the movie industry can display the entire picture in ways not possible on a 16:9 display (the same aspect ratio of HDTV). Aside from Z38c’s 37.5-inch diagonal measurement and its 4K-wide resolution, pixel resolution measures 110 pixels per inch, which means the pixels are not so miniscule that you can’t see what’s going on, but fine enough to offer smooth, high-resolution results (see Figures 2 and 3). Another important feature of the Z38c Super-Wide Curved Display is the fact that, while many other displays only support 8 bits per channel, the Z38c is a true 10-bit monitor. This means it can display over a billion simultaneous colors. Subtle color gradations will therefore appear smoothly with minimal banding compared to an 8-bit display. Upon taking it out of the box for the first time, I could see that the Z38c was solidly designed and built. With its sweeping curved screen and solid base, its sleek and stylish look will fit into any studio. In addition to the stand, you can also mount the display on an industry-standard VESA mount. There are several ways you can connect the Z38c to your computer (from an HP Workstation to an Apple iMac). To start, there are DisplayPort and HDMI 2.0 ports. However, the display also has a powerful USB-C connection that not only connects data and video, but can handle up to 65 watts of power as well. This makes it an excellent way to connect the display to your workstation, especially if you want to power it from a mobile device, considering it doesn’t require more than 65 watts (see Figure 4). Figure 3: The Z38c Curved Display is perfect for mixing audio. There is ample room for a wide mixing panel with plenty of tracks during this session of Pro Tools. There are also several USB 3.0 ports, which make it easy to connect devices such as keyboards, mice and drawing tablets. There is also an audio jack, security lock slot and, of course, the power connection. On the lower right side of the display are a set of menu buttons with which you can adjust color and brightness, as well as access various color profiles. I did not have to adjust anything since I found that color on the HP Z38c display was excellent right out of the box, having been factory-calibrated (a factory calibration report was included in the box). The display has almost complete coverage for the sRGB color gamut (98%) and around 310 nits of brightness, which will do nicely for all kinds of creative work. If you are a high-end motion picture colorist or own a color-correction shop where color must be as accurate as possible, you may wish to look at HP’s 31x DreamColor 4K display that includes a built-in colorimeter. However, for ultra-wide goodness, the Z38c will have you covered with very good color fidelity to boot. As mentioned above, the HP Z38c includes a subtle curve across its sweeping width. Why the curve? To begin with, it makes the display extremely immersive, basically filling up your entire peripheral vision from left to right. However, there is another important reason for the curvature. The optimum viewing angle of a display should be as perpendicular to your line of sight as possible. By curving the panel slightly, the pixels at the edges of the display face you more directly. This results in a more optimal viewing angle and thus better color and contrast. 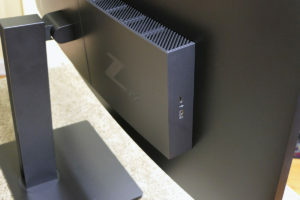 Figure 4: The HP Z38c includes a USB-C port, which is capable of transmitting not only video and data, but also power over the same line. Displays are a critical component of any workstation, and they’re even more crucial if you’re involved in the visual arts, filmmaking, visual effects and 3D animation. 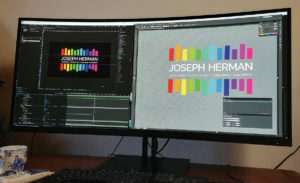 While the HP Z38c is not the only ultra-wide curved display available, it is a true artist’s display and a cut above the others. Knowing that it’s part of the HP’s premium Z Series assures that it was built to very high standards and meant to withstand heavy workloads. Once you’ve experienced working on an ultra-wide display such as the Z38c, you’ll be hooked by the immersive experience it delivers and the refreshing lack of a gap between the two separate displays. Perhaps the only thing better would be to have two Z38c displays. 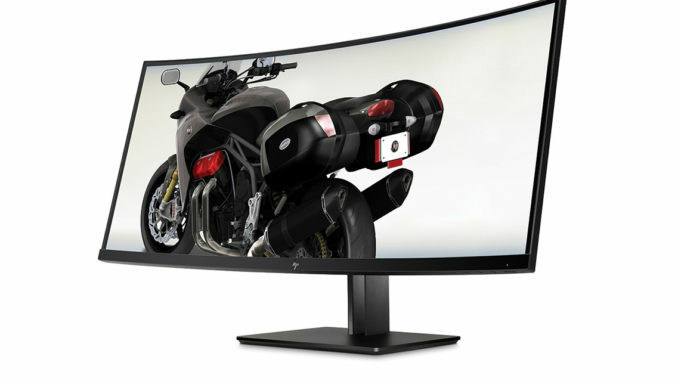 While that may sound awesome, in truth, a single HP Z38c Super-Wide Curved display leaves little else to be desired.